All our Pranic Healing events/trainings in delhi are conducted by certified Pranic Healers, who have at least one year of professional experience. When you book an event/training at Life Positive, you are protected by the Life Positive seal of trust. This exciting 2 day workshop shall help you learn the true meaning of a 'soul'!During this workshop, ancient meditations, kept secret for centuries, will be revealed and taught. These tech. . . Learn the Ancient Science and Art of Pranic Healing. 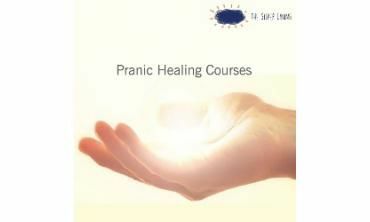 What is Pranic Healing? Pranic healing regards life force as an invisible energy, very similar to Ch. . . Learn the advanced tools of Pranic Healing in this Advanced Pranic Healing Workshop! MCKS Advanced Pranic Healing® is a specialized workshop for those who wish to become. 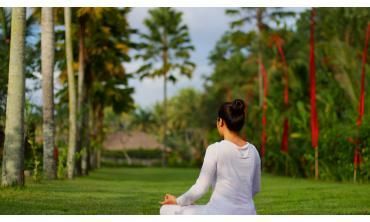 . .
Pranic Psychotherapy® is the application of Pranic Healing® techniques to heal and alleviate emotional and mental imbalances. Negative emotions and traumatic experiences are essentially neg. . .
Do you want to learn about Pranic Healing and its immense benefits on your mind, body and soul? Then this workshop, giving an introduction to Pranic Healing, is for you! <. . . Does it excite you to know the deeper truths about who you really are? Do you want to know more about what people call as the "soul"? Then join us for this exciting works. . .
" I came to know about Pranic Healing through Facebook, Mysticlotus and was intrigued to know about alternate ways to heal other than the conventional ones of taking the medicines. I enrolled myself for the Basic Pranic Healing course on the 2nd of March 2019, which was conducted by Mr. Mohammedi Lokhandwala. He was excellent in his teachings and explanations. During the course of the presentation, I volunteered for my neck & shoulder pain which is because of Cervical Spondylitis and to my wildest of surprises the nagging pain which has started some few days back had actually disappeared and I felt like Mr. Mohammedi Lokhandwala had created some magic. The basic Pranic Healing course taught by Mr. Mohammedi Lokhandwala had substance. "